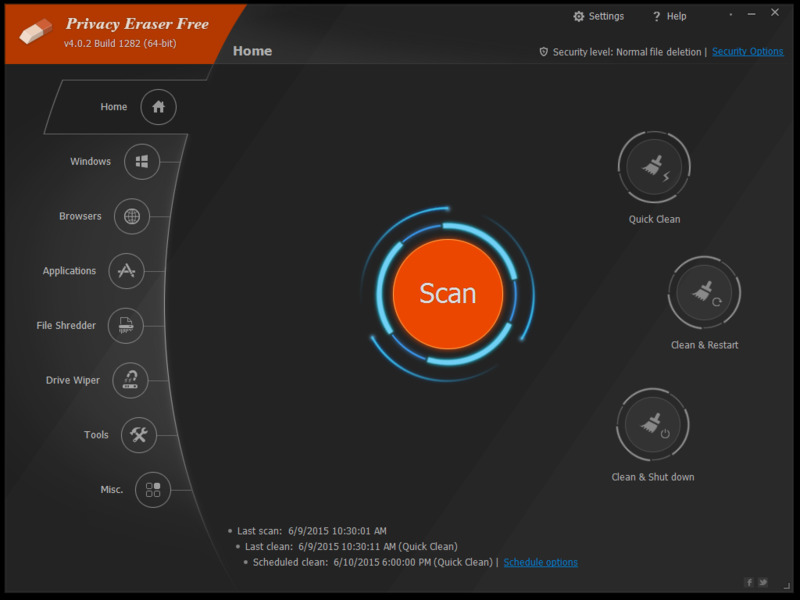 rivacy Eraser is an all-in-one privacy suite that protects your privacy by cleaning up all your Internet history tracks and past computer activities. It supports popular web browsers such as Internet Explorer, Microsoft Edge, Mozilla Firefox, Google Chrome, Safari and Opera. Improved Internet Explorer Password cleaning for multiple users; Improved Google Chrome Cookies management and cleaning; Improved Thunderbird embedded browser cleaning; Improved Registry detection and backup support; Improved command line secure deletion.